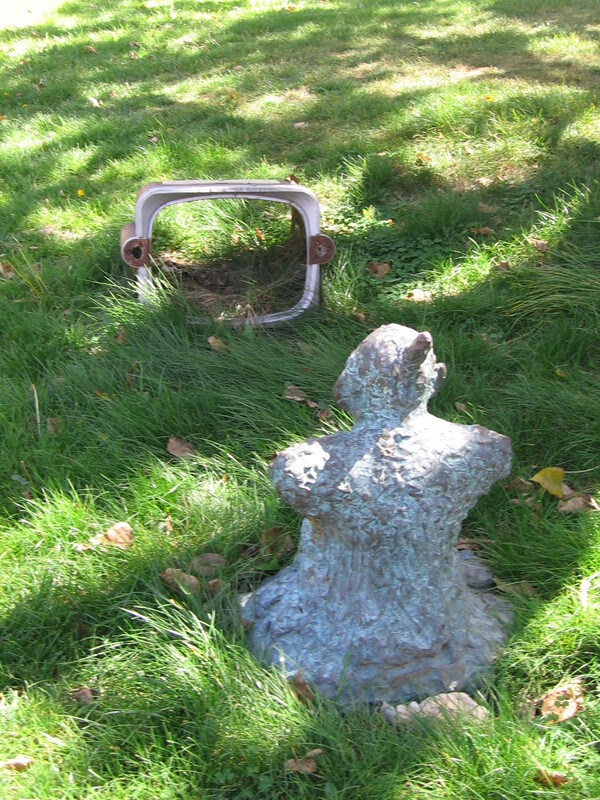 The “grandfather of video art,” Nam June Paik, created a place where televisions go to die on the campus of the University of California San Diego. It’s not as dark as it sounds actually. Something Pacific consists of “several ruined televisions embedded in the landscape; some are paired with Buddhas, and one, a tiny Sony Watchman, is topped by a miniature reproduction of Rodin's Thinker.” The installation looks like an extremely decrepit but also a little bit cute wasteland of media. The little Buddhas and Thinker are just hanging out watching TV on the lawn in front of the campus’ Media Center/Communication Building, which is apropos. Paik’s inspiration for the piece is rooted in his belief that “television has defined the American landscape since World War II” which is becoming painfully truer every day as Netflix takes over our lives. The second part of the work is inside the Media Center. It’s a towering, interactive group of monitors. Viewers can change the sequence of the video with a control panel if they so choose, which was super high tech in 1986. 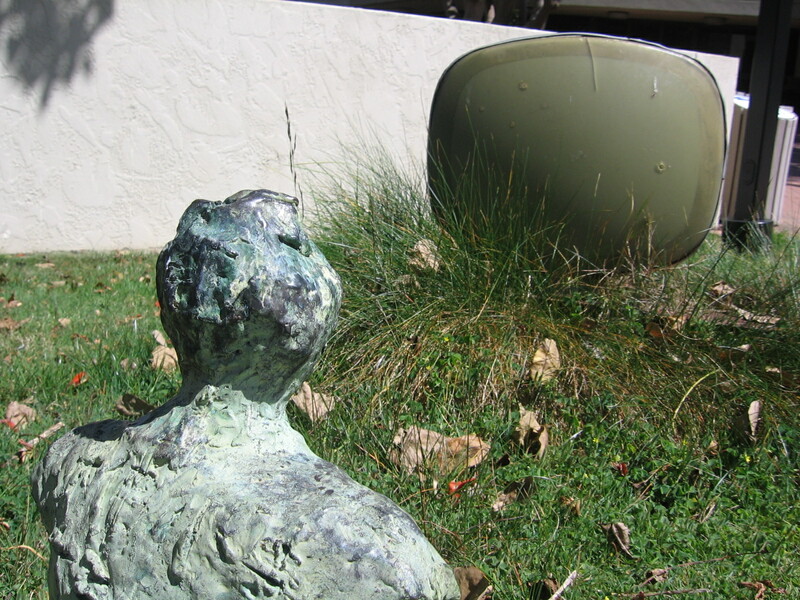 The outdoor and indoor parts of the work are supposed to contrast. As the outdoor part is left to rust and disintegrate in the dirt, the indoor part represents the cutting edge. But now that it’s 2017, the indoor part has become almost as irrelevant as the outdoor part. The possibility of the inside piece becoming outdated was discussed when the piece was installed and Paik believed that it should always be updated to current levels of technology. He said, “I think it should be made better. Every young kid expects more now from media. So they should go with the progress of industry...It’s like a symphony. When you write a symphony each new generation comes along and changes it and that way it becomes better and better.” As stated, the inside part of Something Pacific was updated in 2015 and probably will be again every couple year for as long as people care. "Nam June Paik - Something Pacific." Stuartcollection.ucsd.edu. Web. 23 Oct. 2017. Kiderra, Inga. "Grant To Fund Restoration Of Stuart Collection Artwork By ‘Grandfather Of Video Art’ - Triton." Triton. N.p., 2015. Web. 23 Oct. 2017. Stuart Collection At UCSD: Nam June Paik. San Diego: University of California Television (UCTV), 2010. video.